What about Sandstones: Millions of years of dry deserts? What about Limestones: Millions of years of placid seas? Out of Africa, or Out of Eden and Babel? For introductory information about this bibliography, please see the Creation Bibliography: Introduction page. 1. 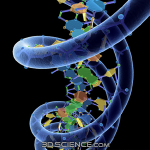 Can random molecular interactions create life? 2. How do coded language structures arise? 3. What about the geological/fossil record? 5. What about light from distant stars? Featured But What About the Geological / Fossil Record? If you only read a single article on the geologic record, make it this one. It presents powerful evidence for the total failure of uniformitarian geology, while a catastrophic world-wide flood fits the evidence extremely well. This is an excellent one-stop resource for understanding the Genesis flood, and how the rock-record is explained by this singular catastrophic event. Beautiful full-page color pictures make this easy to read, and it is packed with hard-hitting information. The Global Flood can be viewed as a vastly updated, but more of a layman’s version of, the author’s own father’s groundbreaking but now greatly outdated book: The Genesis Flood. Hi highly recommend watching this video, if I had only a few resources to pick from on creation topics, this might be one. Geologist and world-renown spelunker (cave geologist) Emil Silvestru gives very powerful and provocative evidence against uniformitarian old-earth geology, and shows how a better paradigm is that of a world-wide flood. Emil is a very original thinker. Note that for much of his life as a geologist he was an atheist working in the old-earth paradigm. 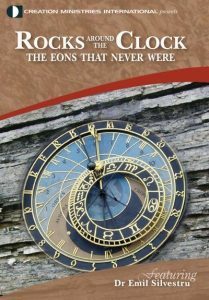 Another excellent video of Emil’s, which does not just repeat the content of this video, is Rocks & Ages: Do They Hide Millions of Years. These are some of my favorite geology videos. Emil is an original thinker, and he should get you thinking deeply about major enigmas that you probably haven’t been told of, such as finds of pollen in Cambrian strata, which appears half a billion years (in uniformitarian reckoning) before it should have existed. This video is unfortunately of poor video quality, but the content is excellent, as always with Emil. Very short and lay-level, six powerful evidences that support the Genesis Flood from the geologic record. 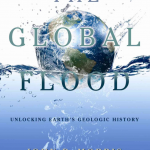 Snelling presents powerful geologic evidences for a world-wide flood. Many of the items covered in the short introductory articles above (Geologic Evidences for the Genesis Flood) are talked about here in more depth. Was Noah’s Flood Real, Emil Silvestru on 100huntley, part I (below) and part II. 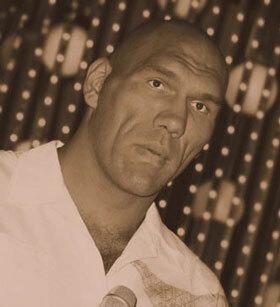 Grappling with Megasequences, Tim Clarey of ICR, Acts & Facts. 44 (4), 2015. This is just a short preview of some of the amazing work that geologist Tim Clarey of ICR is doing in the ongoing Column Project, where for North America alone some 500 drilling-core and outcrop samples from across North America have been mapped and combined in order to understand from comprehensive data how the flood progressed. The same work has been and is being done for other continents. This is such exciting work. 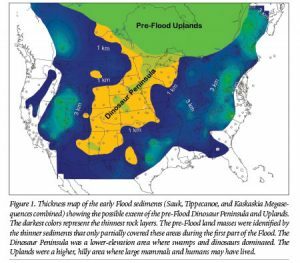 I felt in my heart long-ago that a comprehensive mapping of the geologic data could fundamentally alter how we understand the flood, geologically speaking (and act as further testimony to the reality of the flood over uniformitarian geology). See also the work done for Africa (Acts & Facts 44.9 2015) and South America (Acts & Facts 46 (3) 2017). Snelling shows the true complex nature of the flood, contrary to unrealistic expectations people have, as if the flood simply pounded the earth and totally covered it all in one day. In this Snelling goes over the five mega-sequences. 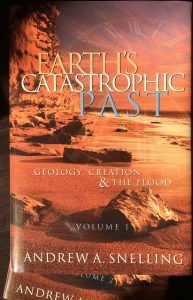 Book Earth’s Catastrophic Past: Geology, Creation & The Flood, Andrew Snelling, Vols 1-2, Table of Contents (PDF). 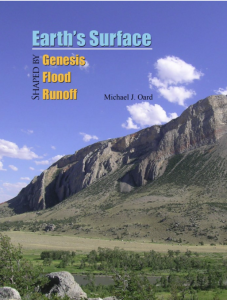 Book Technical Earth’s Surface Shaped by Genesis Flood Runoff by Michael J. Oard. I.3.8 – Up to 20,000 Feet of Erosion from the Continents. 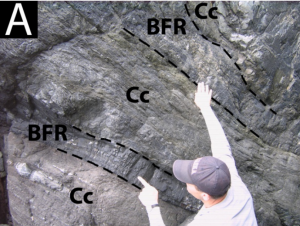 I.3.9 – Tall Erosional Remnants Demonstrate Catastrophic Erosion. I.3.10 – The Puzzle of Large Natural Bridges and Arches. 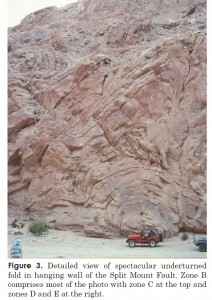 Powerful evidence shows that sandstone rock layers were formed catastrophically, and that they are in fact underwater sand-waves, not desert dunes. 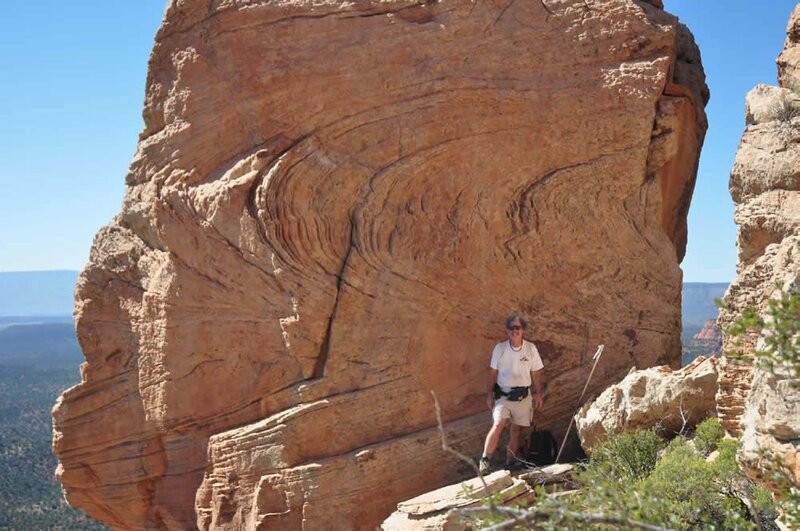 Technical Technical “Intraformational Parabolic Recumbent Folds in the Coconino Sandstone (Permian) and Two Other Formations in Sedona, Arizona (USA)” (PDF) Whitmore, Forsythe, Garner (2015). Extremely powerful evidence that limestones, such as the Red Wall Limestone in the Grand Canyon, were not formed by slow accumulation at the bottom of shallow seas, but rather quickly and catastrophically. Austin has discovered what may be the biggest kill event known from the fossil “record” to date. This presents hard-to-deny evidence that these layers represent monuments to a catastrophic flood event. This takes off the board one of the best supposed evidences for slow geologic eons. “Mud Flow Madness with Dr. Steve Austin” – Dr. Austin shares his ground-breaking discovery and research on the nautiloid mass-kill and burial event. He makes it easy to visualize how violent the flood waters were, and how they could have laid down the layers like they did. Technical “Nautiloid Mass Kill and Burial Event, Redwall Limestone (Lower Mississippian), Grand Canyon Region, Arizona and Nevada,” Steve Austin (ICC, 2013). This paper unfortunately is not online at the moment, but it presents the research (very technical in nature) referred to in the video above. Some of this model was already covered in articles above, such as in But What About the Geological / Fossil Record? featured article. A nice presentation is given here by Paul Garner on the catastrophic plate tectonics model. “Embracing Catastrophic Plate Tectonics,” Tim Clarey, Acts & Facts. 45 (5), 2015. 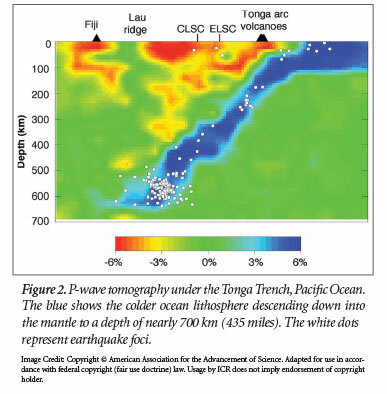 This the foundational paper in which the Catastrophic Plate Tectonics model was presented. The following articles are very technical, but they demonstrate that the geologic record is actually testament to an utterly upturned earth during a global catastrophe. Technical “Superfaults and Pseudotachylytes: Evidence of Catastrophic Earth Movements,” Clarey, Austin, Cheung, Strom, ICC 2013 (ICR page). 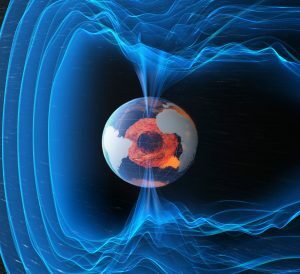 Very technical, but powerful evidence for catastrophic earth movements. Technical “South Fork and Heart Mountain Faults: Examples of Catastrophic, Gravity-Drive ‘Overthrusts’,” Northwest Wyoming, USA,” Tim Clarey, ICC 2013 (ICR page). This is a classic, very short article that quickly links to 14 strong evidences for a young world. From Not enough mud on the sea-floor, and Not enough salt in the seas, to Fast decay of earth’s magentic field, and Galaxies winding up too quickly (their fine-structure should long ago have been wiped out). “101 evidences for a young age of the earth and the universe,” Don Batten, CMI. 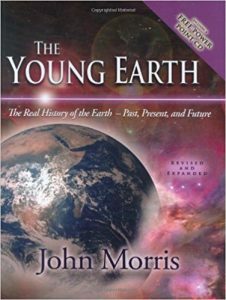 This is an excellent book, with full color diagrams on every page, dedicated to age of the earth questions. This is a very technical article, but I include it as an excellent and very recent example of research that powerfully debunks what looked like embarrassing evidence against the biblical record and timeline. 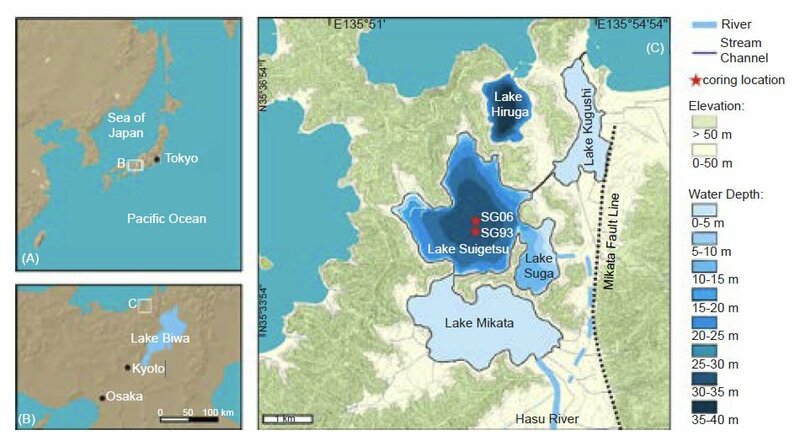 The claim was made by old-earth geologists associated with BioLogos that sedimentary laminations (“varves”) in a lake in Japan not only add up to many tens of thousands of years, but even worse, that these varves match perfectly with tree-ring dating that also reaches into the tens of thousands of years. I remember many years back asking my creationists friends if we had a good answer to this issue yet, and there was nothing. Well, now we not only have an answer, but a comprehensive answer that pretty thoroughly debunks these earlier claims. As you see above, radiometric dating is not the only way to “date” the earth. Even so, Uranium-lead, carbon 14, potassium-argon, and other such radiometric dating schemes do produce results that present a significant objection to the claims of a young earth. The RATE project, sponsored by ICR and CRS, was a major research initiative to find answers to this problem. The results strongly confirmed that there must have been periods of accelerated radioactive decay (probably during creation week and the Flood) which produced the ratios we see today, from Polonium halos (radioactive halos in rocks) to fission tracks. Only periods of extremely high radioactive decay could produce such results. Book ICR has generously made these full research results available online for free! See the RATE 2 page (representing the RATE 2 book), and the earlier RATE I page (representing the earlier RATE I book). We will be giving some of the individual chapters from these below. Major thanks goes out to the researchers who through their skill and expertise, and above all, through their dedication and incessant sacrifice, brought this evidence out to the world, for any who have ears to hear. Adequately answering the objection presented by Uranium-lead ratios within zircons could be called the holy-grail for young-earth researchers, as far as radiometric dating is concerned. I’m glad to report, we believe we have found the answer: Helium daughter-products still remain within these zircons, at levels that would date these zircons to only 5 to 6,000 years old. It seems there were periods of accelerated radioactive decay during the creation week which caused the Uranium atoms to decay as much as they did, but the helium by-products still remaining within these zircons dates them precisely to the age expected for biblical creation. Helium objection by Old-Earth scientist Gary H. Loechelt is answered by Humphreys (JoC 24(3) – 2010) (see second part of page). 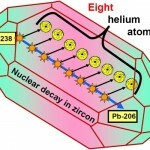 Technical “Young Helium Diffusion Age of Zircons Supports Accelerated Nuclear Decay,” Russ Humphreys. RATE II, ch. 2 (ICR page). Though technical, Russ is one of the clearest communicators you will find. Technical “Carbon 14 Evidence for a Recent Global Flood and a Young Earth,” John Baumgardner (ICR page). What about the fossil record? Doesn’t it represent evidence for past evolutionary eons contrary to the biblical testimony of earth history? 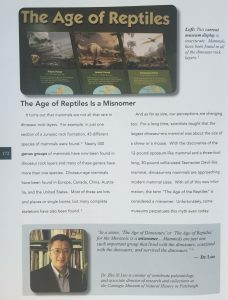 We hear talk of “the age of reptiles” for instance, descriptions that are complete with dioramas of the “past life” of these creatures and of their unfamiliar environments. How do we square with all of these claims? To be fair, the fossil record does pose some big challenges to the biblical creationist view. One of the greatest of these is explaining the apparent order of the fossil record. Why don’t we find humans, for instance, in early rock layers, not to mention other modern creatures? Another problem is that since dinosaurs are buried sometimes almost a mile above already-laid strata, how could they have survived while those initial layers were set down catastrophically? We may not have perfect answers to all of these questions yet, but you may be surprised to hear the claim that the fossil record, far from being the bane of creationism, is in the end one of the greatest allies to the biblical (young earth) model. Perhaps the biggest issue of all that needs cleared up is this: That the actual fossil evidence is not being fairly reported on. So that much of what is commonly known about the fossil record is inaccurate. That’s not to say it’s all just a lie, but when’s the last time you heard that T-Rexes are buried along with shark teeth? Or that most dinosaur remains are buried amidst marine (ocean!) 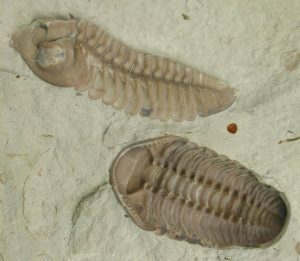 fossils (which are often even the predominant fossil)? Such evidence is consistently being shuffled under the rug and simply left unrepresented to the public. 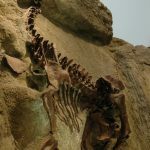 What is more, you may be shocked to hear how many “modern” creatures were fossilized alongside dinosaurs, evidence which again is usually greatly under-reported, and usually not put on display in typical museum and media depictions. 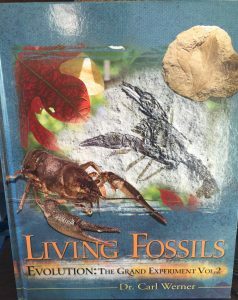 This book series represents a comprehensive re-assessment of the fossil record, which took the researcher, Dr. Carl Werner, across the world to hundreds of museums and dig sites, while interviewing hundreds of paleontologists, museum curators, and etc. 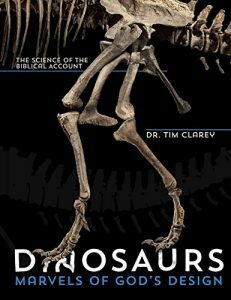 This work should completely alter your understanding of the fossil record. 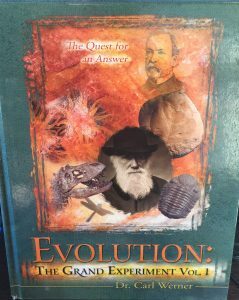 Book Featured LIVING FOSSILS: Evolution:The Grand Experiment, Vol. 2, by Dr. Carl Werner. “During the reading phase of my research from 1979 to 1997, I developed the impression that ancient fish were, in general, different from the fish living today. But when I actually visited the dinosaur dig sites, I found many modern-appearing fish with strange names assigned to them.” (p. 100) This is a recurring theme: items that are clearly the same exact kind of animal or species, is given significantly different names for their fossilized counterparts, making it harder to recognize the truth. “The animals presented in this chapter represent all three groups of mammals living today, namely the marsupials, the placentals, and the egg-laying montremes. I have presented the fossils of two modern-appearing mammals, a ringtail opossum-like animal and a hedgehog-like mammal. Besides there there were others such as “Jurassic ‘Beaver‘ from China,” a dinosaur-eating Tasmanian Devil-like Repenomamus, a duck-billed paltypus-like mammalan echidna-like mammal, a shrew-like mammal…” (p. 182). “If you asked most people whether modern plants were alive during the time of the dinosaurs, they would say no. This is what I believed for decades.” (p. 184) But trees and plants of all major types actually existed alongside dinosaurs! You need to read Dr. Werner’s personal account of some of this, especially on p. 210, concerning Carl Sagan and many text-book claims that “The dinosaurs perished around the time of the first flower.” (Sagan). But here are briefly some of the many plants and trees Werner discovered, often only in side-drawers, while most other museums didn’t even show any such material at all. Of cone-bearing plants: Redwoods, Sequoias (cones and all), Pine-cones and needles, Bald Cypress trees, Pine trees, Cycads, etc. Of Spore-Forming plants: Ferns, Tree ferns (all of these in dinosaur layers, with fossil remains), Horsetail, Club moss, peat moss, and ultimately “all three types of spore-producing plants (p. 208). Of flowering plants (angiosperms), supposed to be the most sophisticated of all plants: Rhododendrons, Poppies, Lily Pads, Lotus, Sweetgum tree, Sassafras, Poplar trees, Black Walnut trees, Ash Leaf / trees, Soapberry, Bay Leaf, Oak trees and Dogwood, Magnolia and Chestnut trees, Everglades Palm, Sycamore trees, and etc. Excerpts from the two Evolution: The Grand Experiment DVDs appear in the following informative interviews with Dr. Werner. “The evolutionary paradox of the Roraima pollen of South America is still not solved,” (PDF) Emil Silvestru, JoC 2012. A time of honesty: In the 1940s and 1950s the discovery of fossils outside the accepted evolutionary position in biostratigraphy was usually honestly reported and discussed. In the following years, examples that could not be explained were simply ignored, never being mentioned again… [Another example like this is] the discovery of vascular wood and six-legged, composite-eyed insects in the Precambrian salt deposits of the Salt Range in Pakistan. After many unsuccessful and well-documented efforts to explain the discoveries away, a veil of silence covered them so that the most recent available reference to the Salt Range does not mention any fossil finds. … It is most unfortunate that one cannot accurately locate the microfossil-bearing layers in the recent stratigraphic synthesis (which elevates the RF to ‘Roraima Supergroup’) because there are no references at all to any microfossils. As in the case of Pakistan’s Salt Range fossils, silence is used to avoid uncomfortable facts. This beautiful, full-page colored book, is one of the best resources dedicated simply to the problems posed by the fossil record. 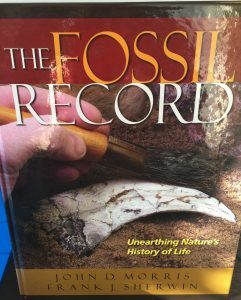 One graphic I greatly appreciate here is on page 41, where a pie-graph shows the true nature of the fossil “record,” which is that it is utterly dominated by sea-life! 95% is mostly shellfish (marine invertebrates & etc. ), while less than 5% of the remaining fossil “record” is plant life, including trees and Algae. Less than 1% of the remaining fossils are vertebrates of all kinds. 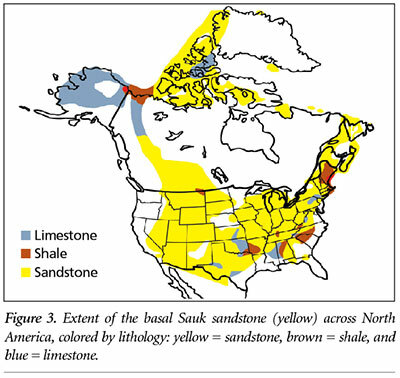 See also Snelling’s “Doesn’t the Order of Fossils in the Rock Record Favor Long Ages?” (2010). 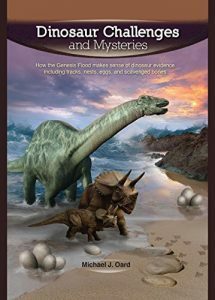 What are you going to believe more: Documentaries and child-cartoons that paint a totally unsubstantiated picture of the “world of the dinosaurs,” or the actual place we learn real facts about dinosaurs: dinosaur mass burial sites? These testify of massive watery catastrophe. And once again, they show dinosaurs were buried alongside sea-life. There is a lot of very important information in this book. Below you can see the very informative interview of Oard on this subject. Dinosaurs in Marine Sediments: A Worldwide Phenomenon, Tim Clarey of ICR, Acts & Facts 44 (6), 2015. Dinosaur Fossils in Late-Flood Rocks. Tim Clarey, 2015 – Acts & Facts. 44 (2). Dinosaur nests may seem to present a problem, how could these have been laid in the flood, when the dinos were buried in higher flood layers? The answer is actually very compelling that these were all dinosaurs on the run, in stampedes, running on already freshly laid sediment layers. The eggs were from pregnant momma dinos that had to lay their eggs in duress, and evidence shows they were quickly covered with flood sediments. How else could eggs get preserved anyways? They must have been almost instantly covered and chemically transformed. This is an example of a problem that turns into a great testament to the Genesis flood. This video series interviews many of the prominent creationist astronomers in a single series. 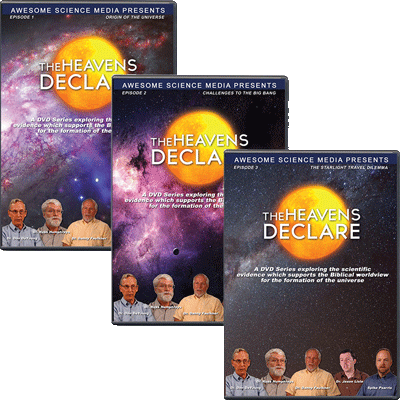 The 3 DVDs cover the 3 following topics: 1) Challenges to the Big Bang, 2) Origin of the Universe, and 3) The Starlight Travel Dilemma. This is a very important paper. Danny shows that a miraculous solution to the light-travel time problem is possible without invoking the erroneous light-in-transit idea. Danny points out that the plants in the garden were rapidly made to “grow,” and that the same thing might have occurred with distant starlight. 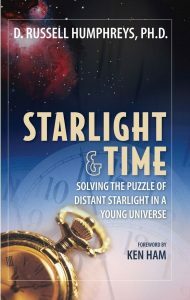 Importantly, he shows that ironically, the creationist time-dilation models have problems solving nearby light as much if not more than light from distant galaxies. A miraculous solution to cosmic starlight is entirely in keeping with the rest of the Genesis account, and importantly, as Danny shows, the faulty light-in-transit idea is not the only miraculous way to solve this problem. Here I expand on some of the key concepts that Danny pointed out, and I give reasons to consider applying the notion of supernatural growth not just to solving how the starlight arrived here rapidly, but also to understanding how the galaxies and stellar objects themselves were rapidly formed at creation (just as the trees of the garden were rapidly formed). One critical implication of this is that it’s possible that some of the concepts of the time-dilation models may still apply, so that the right answer might well be a combination of sorts between the miraculous “rapid growth” solution (as with Danny’s solution), and with the time-dilation models, which depended much more heavily on naturalistic means, namely on the existence of cosmic black or white holes to cause relativistic time-dilation effects. But the trees of the garden didn’t need any such “time-dilation” (relativistic or other) naturalistic means to supernaturally grow fast. Some trees in the garden may have looked like 100 years of growth all occurred in 15 minutes. 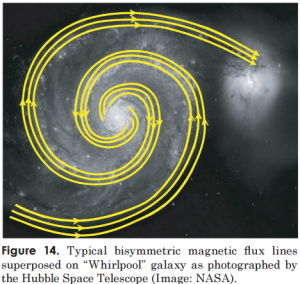 We might understand the galaxies and other stellar objects in like manner. This is a classic book that still holds much relevance to creation astronomy. Though Humphreys has significantly altered his time-dilation based model, enough for him to call it his second cosmology, nonetheless, a large number of foundations are laid in this book that don’t ever get repeated elsewhere. I personally believe that no time-dilation model, one which employs a naturalistic gravity-well alone (a cosmic sized black or white-hole in this case), holds all of the answers to the problem of distant starlight, because that itself would have to be an extremely fine-tuned solution (see what Faulkner says above about the problem of nearby starlight). This is why I support the notion, as Faulkner is arguing, that God’s power could easily have gotten the light of the cosmos from all of its parts stretched forth in a miraculous, “rapid-growth” manner. It’s absurd to think God is limited to the very slow speed of light! However, I think time-dilation concepts may still be very useful and relevant to conceptualizing how God made individual galaxies, star-clusters, and etc. 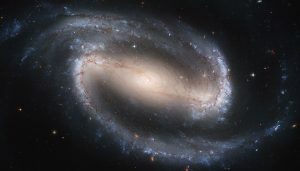 While the author has changed some significant details in this cosmology, most of the points shared here, about time-dilation, relativity, the aether, and the nature of gravity, remain just as relevant. Here doctors Humphreys and Baumgardner have an intriguing talk about Russ’ time-dilation creationist cosmology. This paper is more than what the title states, as fascinating as that claim is. Here Russ presents what he calls elsewhere his newer version of his Starlight and Time creationist time-dilation based cosmology. This is amazing evidence that not only contradicts the Big Bang, but that also amazingly shows that we are in a very special place in the cosmos. “Ether and the Theory of Relativity,” Einstein, 1920. Russ has come up with some absolutely amazing ideas about how gravity actually works, which also may answer what the CMB (cosmic microwave background radiation) actually is. I honestly feel like what he has discovered here is easily worthy of a Noble Prize, and gives him a seat alongside Galileo and Newton. Gravity, in his view, looks like acceleration (as physicists already know), because it actually is acceleration. Namely, in this provocative new view, God is constantly accelerating space-time (in a 4th dimension), like as if it were on a wheel of life. I disagree with a few important scriptural interpretations that Russ adopts in support of these ideas (the ones about the expansion of the heavens), but I don’t believe this invalidates the theory, as for instance, we can accept quantum physics without needing to find details of quantum physics in Scripture. I include this as just one example of this fascinating issue: the watery origin of the cosmos and solar system. This is of great importance because Genesis 1 tells us everything began with water. Many articles like this could be cited, but this is a good example. Many articles could be listed that show the youth of the different planets. See the videos above for a lot more on that. Here though is just one example that is very recent, which is the amazing evidence from Pluto, that once again (as with the other planets) demonstrates much evidences that it was created relatively recently. See also Faulkner’s early article on this here. Let me repeat that a very large list could be compiled of specific examples in the Solar System and beyond that don’t fit the naturalistic Big Bang account, but for now, see Spike Psarris’ excellent videos listed above. If you were to watch one video or read one article about Darwin and his theory of evolution, I would encourage it to be this talk given by Dr. John Sanford, an esteemed professor in genetics from Cornell University. The video is unfortunately not all on youtube, but it is here on GodTv (you may have to enter an email to watch), and the preview on youtube is below. You can also buy the video for instant download here. 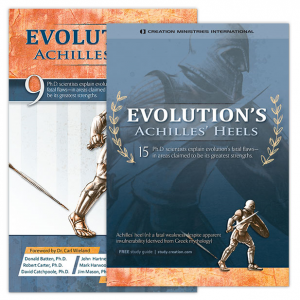 This was an extremely well-done and convincing project (and the book is very well produced with full-color), which purports to expose many “achilles’ heels” (fundamental failures) of evolutionary thinking. The 8 major topics addressed are: 1. Natural Selection 2. Genetics and DNA 3. The Origin of Life 4. The Fossil Record 5. The Geologic Record 6. Radiometric Dating 7. Cosmology and the Big Bang 8. Ethics and Morality. The content in chapters 1-5 and ch. 8 were excellent. In my personal opinion, the chapters on radiometric dating (ch. 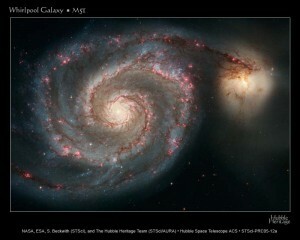 6) and cosmology (ch. 7), while having some good points, are lacking (e.g. for ch. 6, the RATE research and accelerated decay aren’t even mentioned). On those topics please see other arguments on this page. This is a very powerful resource against evolutionary claims. This could also be called: How the Evolutionary Establishment Squashes Debate and Dominates through Intimidation. In this exposé, Dr. Sanford shows through many examples how the evolutionary establishment of today is actually the side to be likened to those who tried to put down Galileo in his day, and who were hindering free-inquiry and scientific discovery. ID and YEC creationism are those who are being persecuted and silenced today, just as was done to Galileo. He also shows how this debate is not between Science and Faith, but rather, between one Science and another Science, and between one Faith (naturalism) and another Faith. 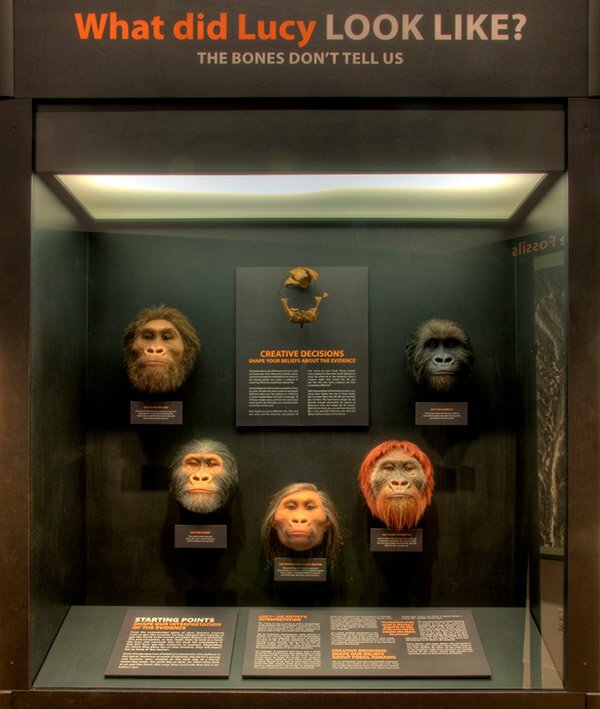 Part of the Lucy exhibit in the Creation Museum. Neandertals and Homo Erectus were just human beings. 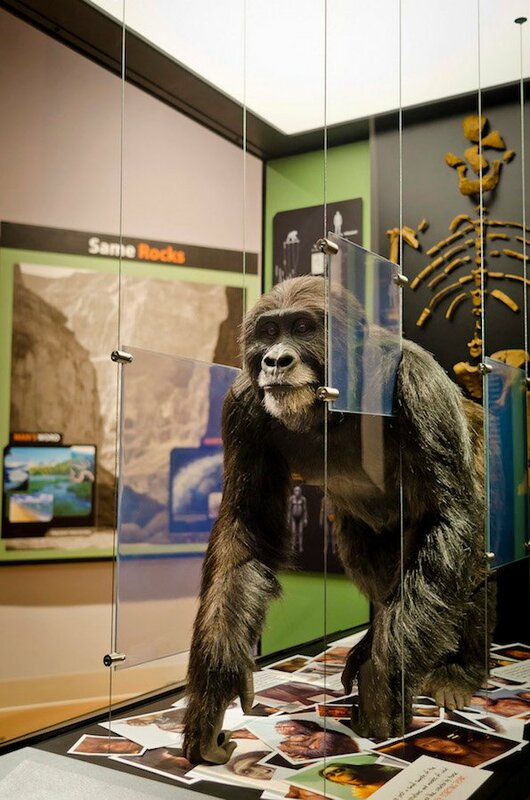 Many other creatures, like “Lucy,” end up being nothing more than some species of ape. It is clear that a chasm exists between the human and chimpanzee genomes. The common claim that they are nearly identical is very questionable… Reported high DNA sequence similarity estimates are based primarily on pre-selected and pre-screened biological samples and/or data. In addition, data that are too dissimilar to be conveniently aligned are typically omitted, masked and/or not reported. Furthermore, gap data from final alignments is also often discarded, further inflating final similarity estimates. This highly selective process driven by Darwinian assumptions produces the commonly touted 98% similarity figure for human-chimp DNA comparisons. Based on human chimp genome data, a more realistic analysis of the data provided in published secular reports indicates that the similarity may be as low as 70% genome-wide. Dr. Carter shares amazing genetic evidence which, contrary to many claims you may have heard (such as from many of the BioLogos folks), seems strongly consistent with the biblical testimony that: 1) mankind diverged from a single woman only thousands of years ago, and 2) that after that fact, three main women were the source (the mothers) of all of mankind today. This is amazing, as it fits the three women who were on the Ark, the wifes’ of Shem, Ham, and Japheth. 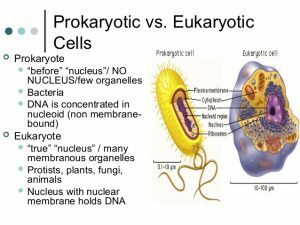 This article gives some terrific arguments for the impossibility of biological evolution, and particularly for biogenesis (the naturalistic origin of life). In addition, you will be introduced to some of the amazing realities of the creator’s design on the cellular level, that utterly astounds any naturalistic attempts to explain this. “Origin of life: An explanation of what is needed for abiogenesis (or biopoiesis),” Don Batten. This is an excellent assessment of what is needed to build the simplest possible cell. It takes the discussion of the previous article much further. While it may be hard for some of you to appreciate some of the mathematical / statistical arguments that previous article relied on, this one gives a great idea of how astoundingly complex even the simplest version a cell is. It makes the old “watch on the seashore” argument look almost inadequate. We will be adding some of the technical articles relating to the amazing research pointed to here in a bit. 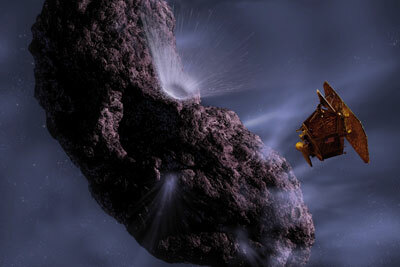 Previous PostPrevious CPT Q025 – Why did the sinking cold rock not entrain hot material and warm dramatically as it sank?